When looking for a definition of ‘fun’ in the dictionary, I think there actually is a picture of a MX-5! It is just that kind of car. Every time you think about it, look at it and drive it, you can’t help but smile. I drove the RF GT (Retractable Fastback) with 2.0 litre 16V DOHC SV-T engine and six speed manual transmission. Engine power is well matched to this car at 118kW/200Nm and the six speed manual has a short throw gear lever, making for sharp precise gear changes. Combined with a light clutch weight and Hill Launch Assist the MX-5 is easy to live with everyday. Combined Fuel economy is 7.0Lt/100km for the RF GT, which is quite good considering the additional 5% mass of the RF compared to the ‘soft top’ Roadster. 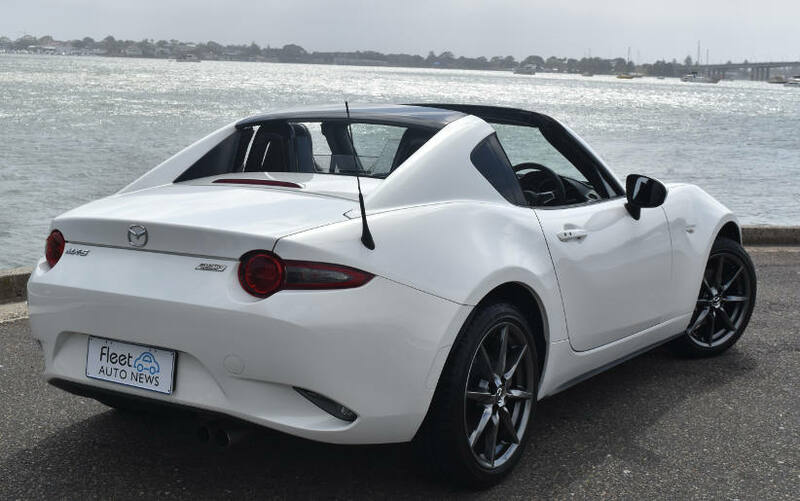 The RF features the electrically operated hard top roof, with the fastest opening and closing times in the world, about 12 seconds. The car should be stopped to put the roof up or down, but it will operate at very slow speeds, such as stop/start traffic, so if there is a sudden rain shower, no problem. As you would expect of MX-5 the balance of the car and steering responsiveness when tackling your favourite twisty road is just superb. Riding on 205/45R17 Bridgestone S001’s, turn in is sharp and precise, ride control is firm but not uncomfortable. 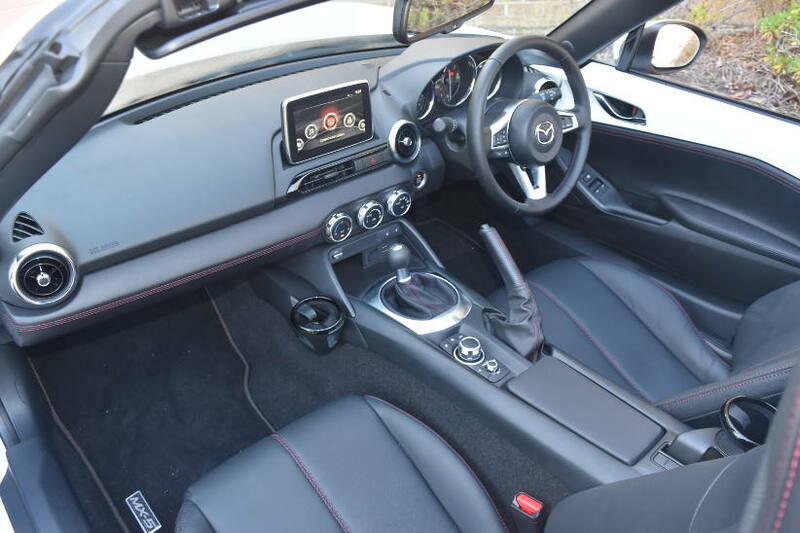 RF GT also brings the luxuries as well, leather steering wheel/gear knob and heated leather seats with contrasting stitching and trim accents, including the exterior paint colour on the door trims – nice! MZD Infotainment system with nine Bose speakers and amplifier, Bluetooth, voice control, Sat Nav and cruise control. Audible school zone and traffic camera warnings feature as well. Two USB’s, but no 12V outlet – so the Dashcam has to stay at home. Safety features include Adaptive headlights, Dynamic Stability Control, Traction Control, Tyre Pressure Monitoring, ABS, Electronic Brake Force Distribution and Emergency Brake Assist, Blind Spot Monitoring and Rear Cross Traffic Alert. Inexplicably though there is no reverse camera. I know space is at a premium in this car, but it already has the MZD display on the dashboard. 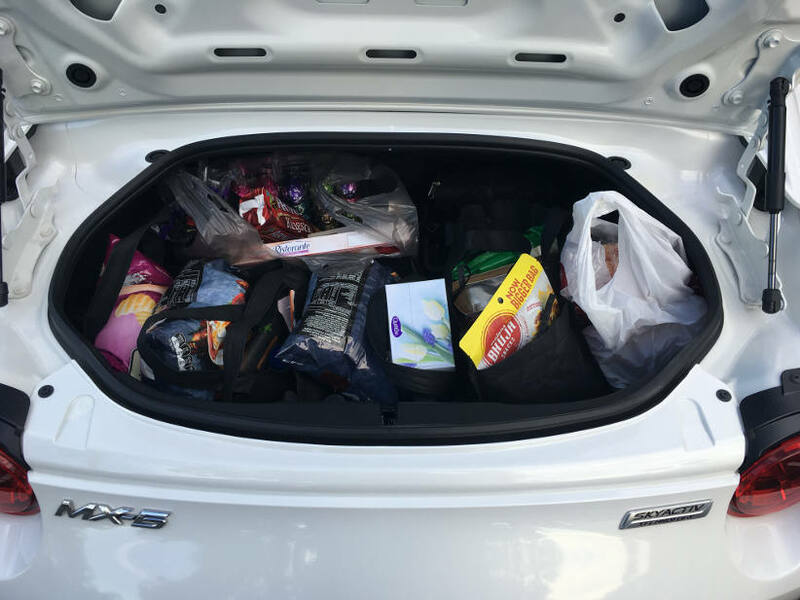 Speaking of space, the boot capacity is limited to 127 litres so if you are planning a weekend away – pack light! The boot will only fit a couple of shopping bags. There isn’t even room for a space saver spare tyre, instead you get a tyre foam filler kit and pump. 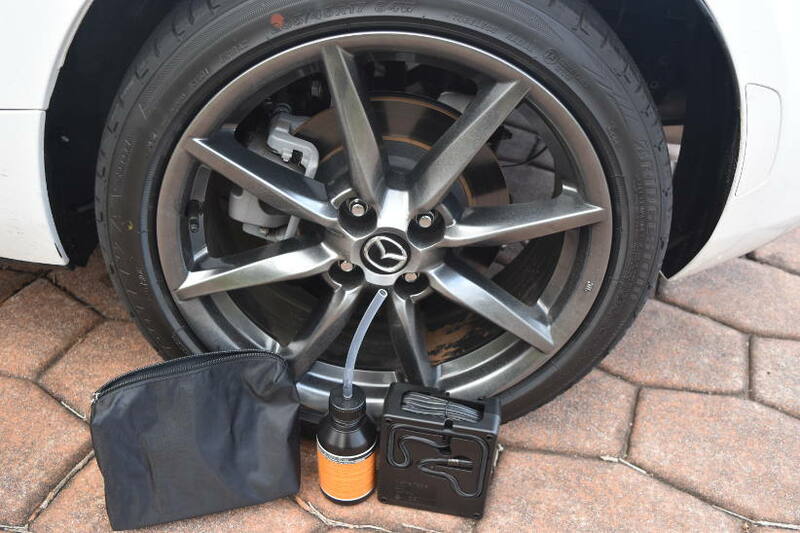 MX-5 comes with a three year unlimited km warranty and 24 hour 365 days a year Road side assistance service. 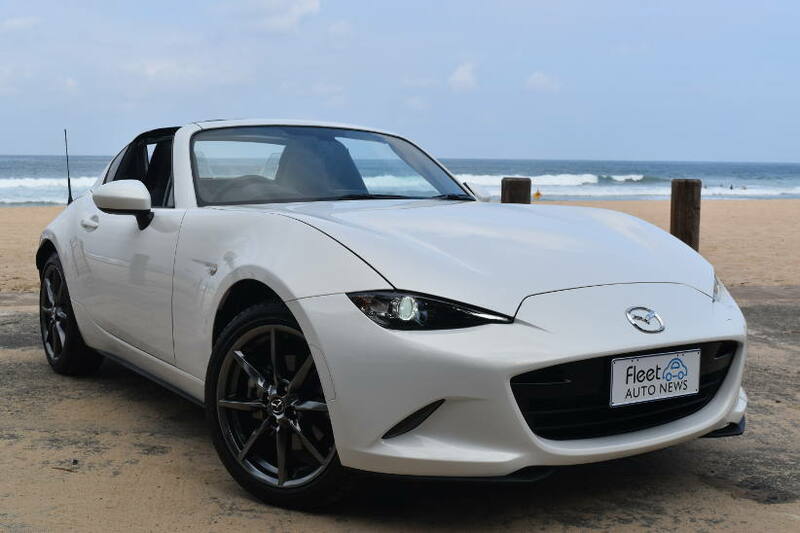 The RF GT continues the MX-5 tradition of a beautifully balanced and superbly styled small sports car. That is rewarding to drive on a Sunday morning blast and easy to live with every other day of the week. It’s very ‘old school cool’ and you have to drive it. But when you do, it all comes together beautifully and you feel at one, connected with the car and the road, for a truly pleasurable, wind in the hair, sports car drive experience. MX-5 RF GT, I dare you, drive it and try not to smile !